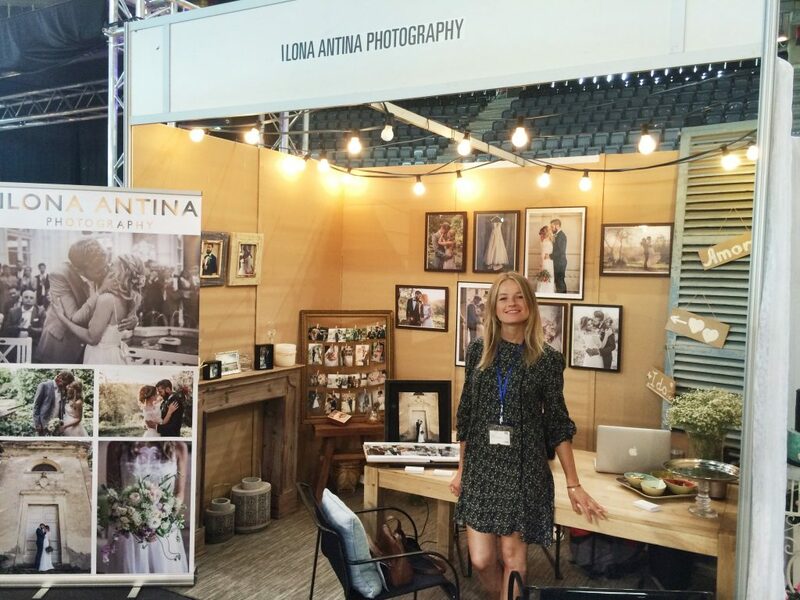 Mallorcas annual Wedding Show, Nupcial, is the ultimate wedding shopping experience with hundreds of ideas to plan your perfect day on Mallorca. Couples can experience the latest bridal trends on the catwalk, get in touch with specialists from bridal boutiques and florists, jewellers, photographers.. 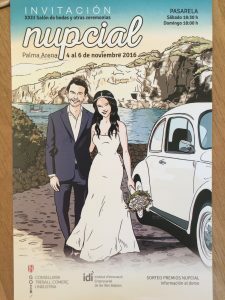 I only arrived to Mallorca couple of months ago and accidentally heard about Nupcial shortly before the show, just about enough time to get my photography stand ready! Also, bearing in mind that my spanish is far from being fluent, I still decided to take the challenge. I met so many couples in love, also couples parents helping with the wedding plans, supportive friends, I met many amazing local vendors and learned a lot from the whole show. If anyone is planning to do anything similar, here is what I can suggest for having an successful planning and event. 1. Have a booth that stands out from the crowd and announces what you do immediately. Lots of stands look very, very similar so you need to stand out because there will be many people from the same industry as you are. 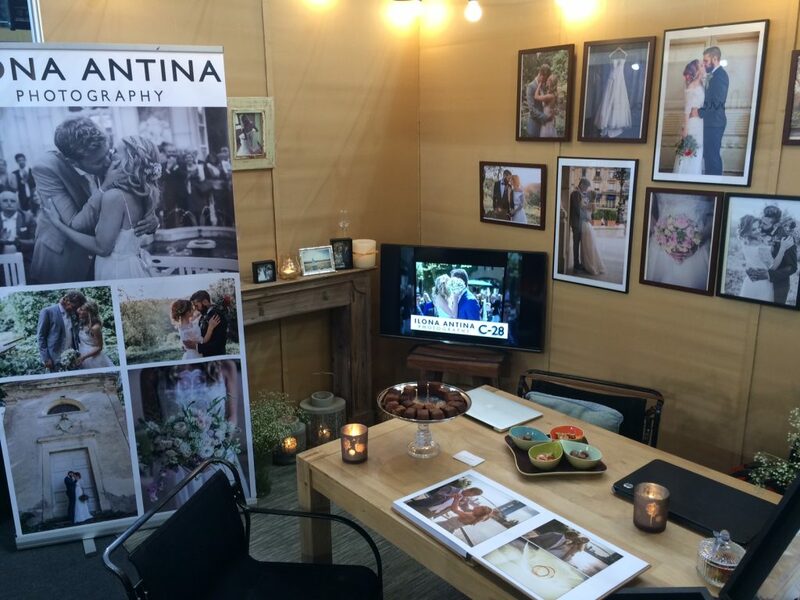 There are plenty photographers at a wedding show who just doesn’t seem to be bothered and don’t put any effort in it. I wanted my stand to feel like Home, because “Home” is welcoming. I created this feeling with a lot of love to details, like candles, flowers, sweets, comfortable chairs, picture frames..
2. Give away something that people like. Cool freebies and sweets work well. The idea is to give away something that will draw people to your stand. We baked a lot of brownies at home to treat couples and their families when they come to talk to us. “Are you getting married? Are you looking for a photographer?” If not, wish them well and move on quickly so that you can meet as many people as possible. Think about offering a Show special.. some sort of discount if they book an appointment with you. Something we might not think about but you may not have time to walk around and search for food. So make sure you are sorted before arriving to the show. 5. Set goals. Go for a meeting rather than trying to book right at the show. Talk to as many people as you can, but, instead of trying to get one client to sign on the line, set up a meeting to sign the papers later.. In this way other clients won’t walk away because they have been waiting too long. 6. Be friendly and approachable. Be friendly, smile, stand, engage and let them know that you are there to help them find what they are looking for. Be sure to stand up during the show and don’t cross your arms. You would be amazed at the negative impact, such as body language has on a bride’s willingness to talk to you. Couples assume you can take photographs. You probably wouldn’t be at a wedding show if you couldn’t. What couples don’t know is are you a friendly type of person who would be great to work with on their wedding day? If you sit behind a table you won’t just look like you don’t care, you also create a virtual barrier between you and the couple. Be out front and engage with them. Talk to people and share your passion! 8. Stay all the way until the end and don’t leave your stand. Packing up early looks unprofessional, and there are always couples who come in at the very end. Many neighbours were already packing up, while me and my partner were waiting until we couldn’t see any more couples browsing around. And someone really came to sit down at our table to talk about their wedding when others were already gone home. 9. Network and introduce yourself to as many other wedding professionals as possible. 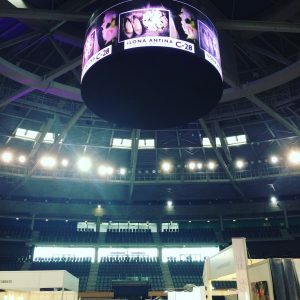 One of the biggest benefits of a bridal show is that it gives you a chance to network with dozens of other wedding vendors. Arrive extra early so that you can meet new people and reconnect with others. Try to find a way to help them and follow up with them after the show. 10. Don’t feel bad if people are not interested. Many people would just walk past, first looking at the stand and then walking on. Many pople wouldn’t even talk to me. But it’s ok. You are not every couples photographer. What you want is unique. You don’t want to appeal to everyone. Only my type of people, who like my work will want me to be their photographer. Those, who don’t, I don’t want as my customers anyway. Ilona Antina Photography by Ilona Antina is licensed under a Creative Commons Reconocimiento-NoComercial-SinObraDerivada 4.0 Internacional License. Website created by Alberto Soto Fernández.